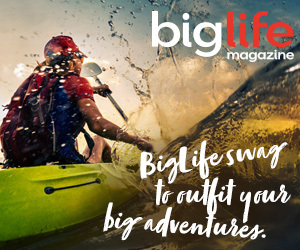 Living big is often about giving big. Sometimes, you have to take things into your own hands, literally. 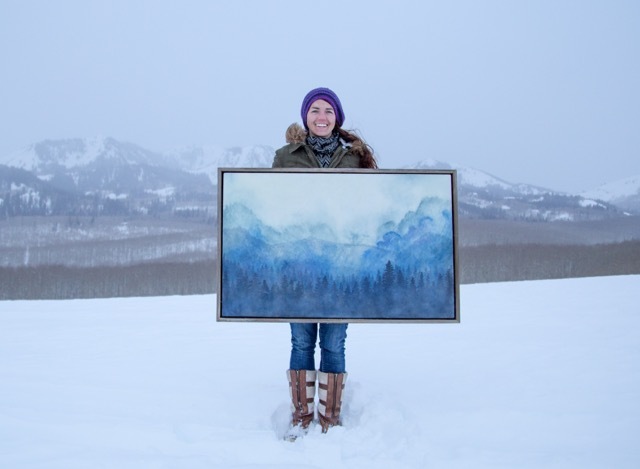 Utah artist Bridgette Meinhold is doing just that—using her hands, vision, and heart to triumph a cause close to her community. Just over a year ago, Park City residents overwhelmingly voted to pursue the purchase of Bonanza Flats, a 1,350-acre slice of land that joins Big Cottonwood Canyon with Park City and Wasatch Mountain State Park. A chosen destination for bikers, hikers, and backcountry skiers, Bonanza Flats holds a place in the hearts of locals and visitors who want to keep the area preserved as open space. With many businesses, citizens, and non-profits behind the buy, the city has until March 15 to raise about $13 million to make the purchase. “This opportunity represents a tangible way for diverse people and groups in Utah to come together for something most agree on: protecting some of the last undeveloped open mountain spaces in the Wasatch Mountains for all to freely enjoy,” says Jamerson Kent of the Utah Backcountry Alliance. His is just one of dozens of coalitions that support Park City in its pursuit to preserve Bonanza Flats. While the bulk of funds will come from Salt Lake, Park City, and Wasatch County municipalities, it’s up to individual citizens to find ways to raise a few million dollars for the cause. Meinhold is one of those people. She did her part to contribute by painting “Under Their Protection,” a new, original encaustic painting inspired by Bonzanza Flats and donating proceeds to the purchase. 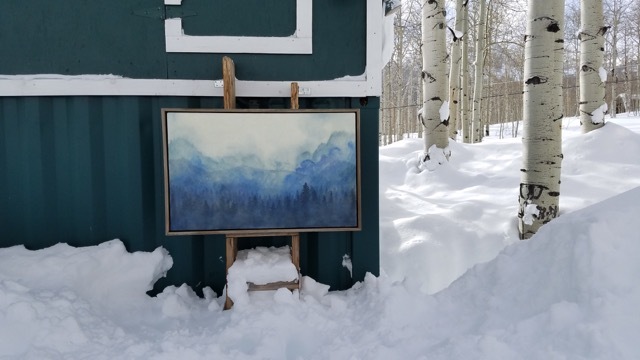 A resident of Brighton Estates, a community adjacent to Bonanza Flats, Meinhold draws her inspiration for her writing and painting from her experiences exploring the land that surrounds her home. “There’s always been the threat of development in our area, and we’ve always watched and waited and thought that there was nothing we could do about it,” says Meinhold. That is, until the town of Park City put it into the hands of its citizens to preserve the space. 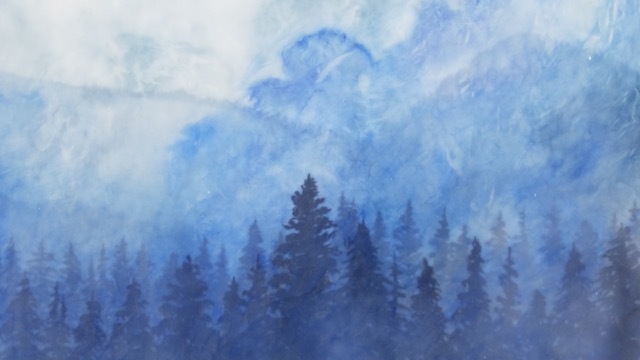 “The name of the painting refers to the three peaks in the background, which serve as guardians for those in the valley. Likewise, it references our act as stewards of the land to protect the mountains in return,” Meinhold writes in the painting description. To create an atmospheric, 3D effect, she mixed beeswax with damar and then alternated layers with milk paint. The mix communicates the splendor of the place, regardless of weather. “We love exhibiting the work of Bridgette Meinhold, a passionate artist whose lifestyle intersects with the beauty of her work; her home, her background, her playground—this is her inspiration,” says Gallery MAR, where the piece was on display. It went up for auction on Tuesday, February 7 and sold for $10,500 on February 23rd. She made an additional painting for another bidder, as well as a watercolor study that added up to her raising $22,000 in one night. But the fight is not over. With about a week until their deadline, the grassroots donation campaign put on by Utah Open Lands has been quite successful. However, the protection of the land now depends largely on participation by Salt Lake County, whose water supply depends in part on runoff from Bonanza Flats. Residents of Salt Lake County still have time to encourage their representatives to promise a donation. “If every individual does what he or she can to support the purchase of Bonanza Flats, we will get it done,” says Wendy Fisher, Executive Director of Utah Open Lands, the organization that is spearheading the fundraising efforts. Ultimately, this is an example of the power individuals have in our mountain towns. At the base of our peaks and trails are pools of creative and passionate talents, each with the potential to unite and give back to the whole. To learn more about the Bonanza Flats property and contribute to the cause, visit Utah Open Lands. To learn more about Bridgette and her work, visit her website.